Cotton canvas. 10.0 ounce. 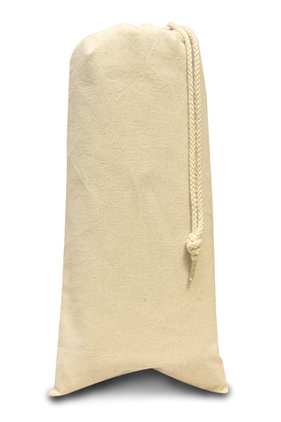 Natural drawstring closure. Holds one 750ml bottle.